“Experiences With MahaPeriyava” – So many devotees, so many divine experiences, so many soul touching narrations bringing tears in our eyes thinking of Periyava, so many hilarious incidents making us travel back in time and laugh visualizing those moments… This spiritual journey has been one of its kind … It is a great pleasure and privilege to be a part of this Divine Work. It is the Anugraham and Guru Krupai to do Guru Kainkaryam. No words would be apt other than saying – “Avan Arulale Avan thal vanangi”. But equally blessed are those devotees who have the blessing to emotionally feel such of those unique experiences through books, videos and audio sources. Moving forward, “PeriyavaPuranam.org” also “MahaPeriyavaPuranam.org” will continue to host more treasurable videos/audio/photos/article of Periyava Puranam. It will be a companion for the seekers like us in the path of Bhakti. This is a Divine initiative. Would feel blessed to receive the updates. அருமையான பணியில் ஈடுபட்டு செவ்வனே நடத்தி வருகிறீர்கள். பெரியவா பற்றிய செய்திப் பரிமாற்றம் எல்லாமே! தங்கள் தொண்டு வளர்க! திரு.சரஸ்வதி மாமி. , நமஸ்காரங்கள் . உங்கள் மெய்ல் பார்த்தேன் . தேவி மானஶ பூஜை. சொல்லி வருகிறேன் .நீங்கள் ராகமாக. சொல்வதை. இதே பெரியவா wordpress அனுப்பி வைத்தால் மிகவும் உதவியாக இருக்கும். Can u give me the lyrics of Devi Manasa Poojai please. Experience with Maha Periyava from 1956 to 1994 and still it continues. பெரிய புராணத்துக்கு சேக்கிழார் பெருமான் இட்ட பெயர் ‘பெரிய புராணம்’ அல்ல. ‘திருத் தொண்டர்’ புராணம். அதேபோல, இங்கே ஐயனின் திருத் தொண்டர்கள் பகிரும் புராணங்கள். (சம்பவங்கள், அனுபவங்கள்). திருத் தொண்டர் – அதாவது தொண்டர்கள் இறைவனின் விலைமதிக்க முடியாத செல்வங்கள். அதனாலேயே அவர்கள் திருத் தொண்டர்கள். (மரியாதைக்குரிய, போற்றுதலுக்குரிய தொண்டர்கள்). இறைவன் மிக மதிக்க முடியாத, எத்தனை விலை கொடுத்தும் வாங்கப் பட முடியாத செல்வம். அதனாலேயே அவன் திரு. அப்படியாப் பட்ட, அந்த திரு நமக்கு வேண்டும் என்றால் ஒரே விலை, அவனது தொண்டர்கள் பற்றிய புராணங்களை நாம் கேட்பதும், பார்ப்பதும், படிப்பதுமே ஆகும். அந்த தொண்டர்களைப் பிடித்து, அதன் மூலம் அவனைப் பிடித்து விடலாம். தில்லை வாழ் அந்தணர் தம் அடியார்க்கும் அடியேன் என்று பாடிய சுந்தரரைப் பிடித்து எப்படி சோமாசி மாற நாயனார் சிவபெருமானைப் பிடித்தார் என்பது நமக்கெல்லாம் ஐயன் சொல்லிக் கொடுத்து தெரிந்தது தானே? இப்போது, பெரியவா புராணத்தைப் பார்க்கிறோம், கேட்கிறோம். இவற்றை எல்லாம் நாம் பெரியவாபுராணம் என்று எழுத்து வடிவில் கூடிய விரைவில் படிக்க அந்த எல்லாம் வல்ல பரம்பொருளாம் எளியார்க்கு எளியன் ஐயன் அருள் கைகூட்டட்டும். Namaskarams!! Great treat for all of us. Kindly request English translation whenever possible. Thank you and looking forward to many more divine information . Looking forward for the Divine Journey. I would personally like to thank you for the wonderful work you have done and continuing to do in bringing out the video clips of various Devotees,( Sharing their Experiences) who were blessed to have had exceptional experiences with Mahaperiyava, the present Periyava and BalaPeriyava and the Matam itself. Self and family have gotten to know more by watching those videos and learnings like the Do’s and Dont’s. Sir thank you so much and what can we do is to pray to Mahaperiyava to continue to bless you to carry on this wonderful work all your life. God bless you sir and i would like to meet you in person when i travel to India,Chennai. Please let me know if it ok to meet up with you. Awaiting to hear/read more on Periva. Namaskaram.The initiative taken to propagate all related stories,episodes,videos,experiences of devotees with Maha periva, HIS ARUL VAKKU ,His UPANYASAMS on VEDAS,PURANAS,ITHIHASAMS,SANATHANA DHARMAM,OUR DUTIES towards our elders,Rishis,Devathas, etc.etc. is a DIVINE TASK and wish that it will be completed soon as contemplated.MY BEST WISHES IN THIS REGARD.MAY KANCHI MAHA PERIVA GUIDE AND BLESS ALL OF US ! Namaskaram. Yes its only by the divine blessings, our sivaraman Anna is successfully shared wonderful experiences of devotees with Mahaperiyva .May all be blessed and more more devotees come forward and share with us. திரு.சிவராமன் உங்களுக்கு. அனந்த கோடி நமஸ்காரங்கள். இருந்த இடத்திலிருந்து ஶ்ரீரமகா பெரியவாளை. பற்றி தெரிந்து கொண்டு அனுபவித்து ஆனந்திக்கிறோம். உங்கள் கைங்கர்யம். தொடரவேண்டும் என. பெரியவாளிடமே வேண்டுகிறேன். நாங்கள் கடந்த மாதம் பிரதோஷ மாமா ஆத்திற்கு போனபோது அப்பதான் நீங்கள் கிளம்பியதாக சீ.ஶ்ரீராம் சொன்னார் . அம்மை எனக்கு அருளிய ஆறு, ஆர் பெறுவார்? “… It is all the grace of Sri Sivan SAR and Sri MahaPeriyava. After you come back to India, please call me at 96000 15230. We shall meet. This is Nirmala, from USA. We had telephonic conversation few times and I have expressed my happiness watching Maha Periyava Experiences. I am using this forum to express my happiness. You are very much blessed to do such a great , wonderful spritual task and every one who reads and who watches them getting the same spritual feelings. Thanks so much and please keep continuing . Complete Surrender to Lotus Feet of MAHA PERIYAVA. Thanks for bringing Periyava’s experiences into light especially for youngsters like me..it is a great motivation and increases the thirst of wanting to hear more about Periyava. Glad that you have your web site to bring out more of Periyava’s message out to the world. Along with so many other followers, let me also pray Mahaperiyava for all the blessings to you to continue your divine journey and help us all enjoy the same through your camera. Raa.Ganapathy Anna brought his speech in written form, and now you are the chosen one by MahaPeriyavaa to bring His life and work to the whole world through internet. Really a wonderful service Sri Sivaraman Ji. Thanks to you and all others involved in this great service of spreading Maha Periyava Bakthi & Sri Matam to the world especially the next generation. Much needed for today’s world. Maha Periyava ThiruvadigaLe CharaNam! Thanks to the great efforts taken by HH Mettur SwamigaL, Sri. Ganesa Sarma and Sri. Sivaraman , Sri.Mahesh Krishnamurthy and other great people, so many Devotees of Maha Periyava could share their Experiences with Maha Periyva and made us better and more pure! Please continue the great work. Hara Hara Shankara, Jaya Jaya Shankara! இணையதளத்தின் மூலம் நீங்கள் ஆற்றும் பணி மகத்தானது. How these interviews impact ordinary souls like me? I think I need to see the two parts with pencil and note pad for couple of times, and surely we can come up with a book with 20 chapters or even more. But the most important thing that attracted me is references to Brahma Sri Veda Puri mama. These interviews are all lessons. ThonDartham Perumai Sollavum ARithee! These Experiences should come in book form also. Great efforts will succeed by Maha Periyava’s Grace! Hara Hara Shankara, Jaya Jaya Shankara! visit to our flat at Perambur last month to see Brahmasri.Vedapuri sastrigal who was kind enough to stay with us for about 10 days. I am very happy I was instrumental in arranging the interview by you with Dr.Mani Veeraraghavan whom I met as a patient and he started his exps.with mahaperiavaa. Thanks for your valuable feedback on making a list of interviews so that it will be easy to access. As this site has just been launched, there is constant improvisation. We are getting feedback from many devotees that is helping us improvise it. Will look into how to put together the feature you are asking for. on behalf of MANI SASTRIGAL along with Vedapuri mama’s Namaskarams. I am watching Sri Anayampatti Ganesan’s daughter Smt. Meera’s interview(Kannappa Nayanar!!!). இரு விழிகள் வினவும்! இரு விழிகள் அருளும் ! இருவிழியால் ஒருதரம் எனைப் பார்த்தால் போதும்! ஒரு நோக்கு உடைக்கிறதே பல ஜன்ம வினைகள்! ஒரு குருவும் இது போலக் கண்டதில்லை யாமே! Is He not with us anymore? Who can say ? on you for ever !!! Namaskaram, Your service is incomparable, When did you start this and share your experience and how you got this ideas of this service to motivate us. What you have done is an extremely blessed task for generations to come. For people like me though lived During Mahaperiyavas’s time could not know enough about him and you have done a Divine service to millions of people in opening up the treasure of Mahaperiyavas’s life and grace through interviews with such blessed souls who were fortunate enough to come in cotact with Him. Words are not enough to thank you. May He bless you and your good work. It was HIS grace that brought you to Sri SAR too as well. I wish you should do a similar work for Sri Sivan SAR (devotees experiences and YPM book related matters on videos) soon. I prefer to give you about 30 minutes recording of information/experiences about Sri SAR and could do more also with HIS Blessings. I admire the team effort put into this website in bringing in various information about Sri MahaPeriyava and Sri SAR. It is a great work indeed. Blessed are you. Still, thousands of people in this World are yet to open their mouth and share their divinely experience. One day or other they will definitely do so. I personally feel, this is nothing short of reading Ramayana/Mahabharatha/Bhagavatham. “MAHAPERIYAVA PURANAM” can be called another EPIC, is it not true? If read with devotion, there exists SOLACE, agitated mind becoming calm, solution for almost all the problems we face, quest to read much more, a trace of confidence is poured in, be it in any field. Thank you very much for video taping the experiences of devotees. Until 6 months ago, I had no idea about Maha Periyava, although I had visited Kanchi madam about 15 years ago and have seen Periyava’s wax idol in the madam. For the past 6 months I have been watching the “MahaPeriyava Experiences” videos in Youtube. My experiences after watching some of the devotees sharing their moments with MahaPeriyava are beyond comprehension. I wanted to share my recent experience which re-emphasized the fact that although Periyava is not with us physically, he is still listening to us, guiding us and blessing us in aruvam form. Recently I got married. Part of my wedding plan, I was thinking about keeping Maya Periyava’s picture in Kalyana medai as I felt like I want Periyava during my wedding. But in one of the Videos I heard the devotee saying Periyava does not like others to take his picture. So, I told myself.. “Since Periyava did not like pictures I will not keep his picture in the stage. But yet I will pray to him and meditate on him and plead for his blessings as I believe he is still living with us in aruvam form. If he wishes to show his physical form, somehow he will”. Then our wedding happened and we were getting ready to leave the Mandapam. One of our relatives, who was about to leave the mandapam, came running to us and gave two Periyava pendants saying, they did pooja with those pendants during Navarathri and he would like us to keep it with us! After I received Periyava’s pendant, I was so overwhelmed with joy and tears. I am sorry, I don’t know the exact words to describe my experience I had on that day. MahaPeriyava Charanam. I am still continuing to learn a lot of things by watching the experiences video in Youtube. I also bought Theivathin Kural this time when I went to India. Thank you so much sir for posting the videos and doing the great service!! Thanks a ton! May Periyava’s blessing be with you always. Thank you Shri.sivaraman for the great service you are doing not only for us but for generations to come. Everytime I watch a video I get a message for what is going on in my mind.. I keep watching Ramadurai mama’s interview and keep learning from it. To get a chance to hear such humble souls itself is a blessing. Just curious ! Would love to hear about your interactions and experiences with Appa (Mahaperiyava). Can we have it please or is it already there? Aiyan and SAR will surely bless us with Sri Sivaraman Anna’s experiences. Please reveal.we could not bear the suspense. Wonderful reading the articles. We re definitely fortune to have lived during MAHA PERIYAVAS period. This is a nectar tonic for all who read. Most required in the present days where there is stress everywhere. (STRESS created by our own selves). Thanks a lot sir for the immense work being done on MAHA PERIYAVA. I am Rajesh Krishnamoorthy , originally from Chennai (lineage – North Arcot) and currently based in Hong Kong. Recently, I came across the multitude of Mahaperiyava experiences in Youtube; watching these videos is truly enriching. I have watched countless of those videos in the past 3 weeks and many more still to watch. It has been brought to common man’s reach by your genuine efforts. I have been attracted, to Mahaperiyava like iron will get attached to a magnet and the videos have been instrumental in igniting the devotion within me. Thanks to your humbling and diligent effort, I started exploring more about Mahaswami . The more I watch and read, the more I get attached. It brings peace to my mind, which wavers often thinking about various issues. I have developed a sincere devotion for Mahaperiyava, and I hold it like a bolster and look up to it. This email is to convey my heartfelt thanks and gratitude to you and the Kanchi mutt. My wishes and namaskarams for spreading the teachings and devotions of Jagatguru . Let his blessings be upon us all. My name is Gowri Shankar. I started watching your videos some years ago when the subscribers were in the low 100s and now I see that it has grown to the thousands. Congratulations! I am one of those benefited by watching those videos. I shall remain indebted for your work. Thanks to you, I have had the good fortune of visiting Tenambakkam and the Shankara mutt in the last 2 weeks. Otherwise, I would have not even thought about it. I have also visited the Acharya’s a couple of times when they were camping in Chennai in the last few years. I feel very blessed to have had these opportunities. All.. Thanks to the videos. Adiyen is Raghuram originally from Srirangam , currently residing in Dallas. please accept my humble pranams and heartfelt appreciation of the work you all have been doing in recording the many wonderful experiences of devotees with mahaperiyava . These videos and the experiences shared on the facebook page are a source of great inspiration and education. These videos , the narration of the experiences scores of devotees are a source of deep knowledge and inspiration for the extremely unqualified and ignorant bhakta’s like adiyen. Periyava must have given you the ability to create this new medium of education for the ignorant people like adiyen to serve as a leading light even after his mukthi. 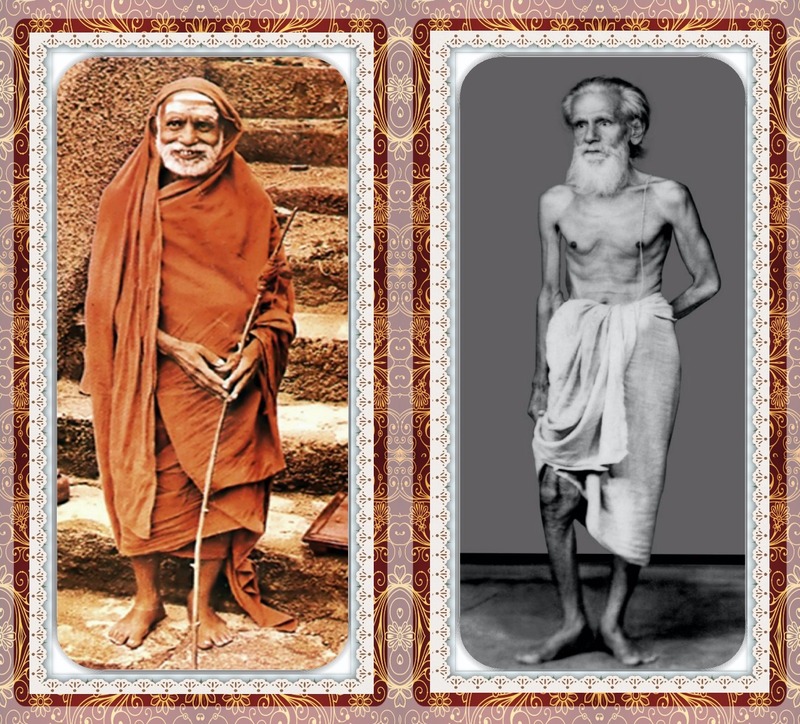 The messages periyava continues to give via the devotee’s sharing of experiences such as the importance of following sandhyavandhanam , supporting vedabhyasam ,honesty and many more have been helping adiyen immensely. This in itself is a miracle and thank you for playing a role in that miracle. Pl can you interview mr.Ram in Mumbai . Who has had numerous miraculous experiences of the Maha Periyavar. ? He can be contacted on 9820092781. I am Narayanan Hariharan from Chennai. My school hood classmate is Mrs. Udaya chandrika ram. I was able to contact Dr. C. Sundararamamurti “Chandra” at the phone numbers that you gave me. We talked about his father and our neighbour Dr. Sivaramamurti from my years in New Delhi. Chandra shared with me a lot of information on the rigorous mantra sadhana that he’s been doing quite freely. I had the opportunity to meet his guru (late) Sri Narayana Sastrigal, a Sri Vidya Upasaka par excellence in Mambalam, Chennai in Dec. 2003. Thank you again for sharing the phone numbers. He does not have e mail. It has been my daily practice for some years ever since by chance I “discovered” Sri Kamakshidasan’s interivew on Youtube to listen to a few experiences. Today I listened to Dr. Veezhinathan’s speech and interview. Again, I wish to extend my best wishes to you for the excellent service you have selflessly rendered to the devotees of Sri Mahaperiyava. 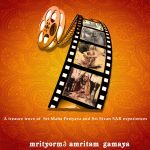 In this sewa you have been a sthithapragnya patiently traveling and interviewing so many blessed souls for the single pointed objective of recording for posterity their direct experiences with one of our Dharma’s greatest Mahatmas in the 20th century. In this way you have not only enabled those living in Tamil Nadu but thousands of devotees like me living far away from India to know and to once again be in Remembrance of Paramacharya. In my own case, I have learnt so much from these blessed individuals and indeed to recall and reflect on my own darshanams with Paramacharya from many decades ago. May Ambal Kamakshi be ever with you and give you strength to continue this task. It occurred to me that it was the asterism Anusham in India when we spoke. If you happen to visit the U.S, please think of us also. Dear Venkatesh, I happen to read your comment today and was wondering if I can talk to you over the phone. Can you please proivde me your phone #? As a 25 year old, after leaving home to pursue my Masters, I suddenly started to read about His Holiness for a couple of months and I feel very fortunate to stumble upon your channel in YouTube. I cry a river whenever I hear any of the experiences of the fortunate devotees. I consider myself unlucky to not have seen Maha Periava during his lifetime on Earth. Having carried ego and intellect all through my life(I feel I should completely be devoid of it, I don’t think I am there yet), a part of my tears is due to my ignorance all these days as I have failed to acknowledge His grace and mercy, in spite of the fact that my parents have been staunch followers. Thank you for the absolutely blissful compilations. You are doing a great service to God , Sir by doing this.In this modern age I never imagined youtube like technology also could be a tool for reaching god.’Periyava Puranam’ has been ‘Periya Puranam’ to me – Though I have started to see these videos from 6 months back,this was the tool through which I went to MahaPeriyava.Thaai pola ennai thaduthaatkondu vittaar avar, avar illayel inru naan enna kathiyil iruppeno ! Uriya nerathil paramporul Guru uruvaai olirgiraan.Ithe pol periyava vai pattri Bharat Subramaniyan enbavar podum Videos um enaaku ‘Periya Puranam’. Sekkizhaar kku Nigaraga vaithu arul purivaar.